If you only have a quick weekend to soak the sun and sand in Boracay but your foodie heart is calling for awesome eats, fret not, as this famous island in the Philippines popular for its white sands is also filled with many awesome eats. The entire stretch of White Beach divided into boat stations, the outskirts of the island, and sleepier 'seasonal' parts all highlight a different kind of beach experience for every kind of vacationer dropping by -- the beach bum, the thrill seeker, the partyphile, and yes, of course--the foodie. 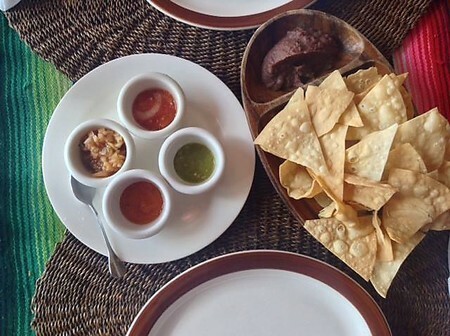 You'll never run out of food options in Boracay, as its selections and cuisines run long, with flavors and sips from around the world (from fancy to no-frills) to appease the appetites of local and international travelers alike. To get you started on your island eat-inerary, here's a shortlist of some of the places you can check out (most from Station 1 and Station 2, the most popular food districts in Boracay) for their specialties, and must-tries if you're a first timer in the island. 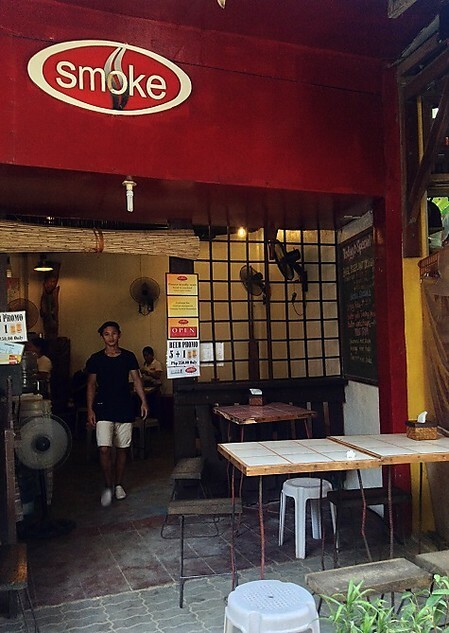 Got a favorite food spot in the Boracay that isn't part of the list? 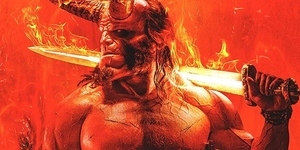 Hit the comments section and share it with us! Prized by locals and late night diners of the island for its no-frills affordable hot meals, Smoke is most famous for their bulalo (beef shank). They serve it in several ways: there's Sizzling Bulalo (P350) in gravy sauce (the most popular), a classic Bulalo soup, and deep-fried Crispy Bulalo. Food here is always fresh, served like a carinderia would and cooked close by, so it can get smoky and hot--but always hits the spot especially if you're on a budget. Also try: Beef Salpicao, Sisig, and Sinigang. 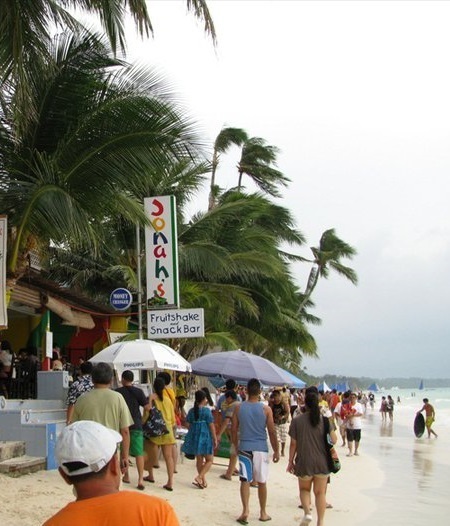 A common sight in Boracay: beachcombers strolling while holding clear plastic bottles containing refreshments, bottle cap speared with a thick straw to sip cold shakes of different colors and flavors. These beverages are care of Jonah's, their menu boasting of over 40 different kinds of shakes. Can't decide what flavor to order for a thirst quencher? Try any of the best-sellers at what's known as the best place to get Shakes (P100-P120) in the island: Banana Choco Peanut, Watermelon, Avocado, and Mango Milk. 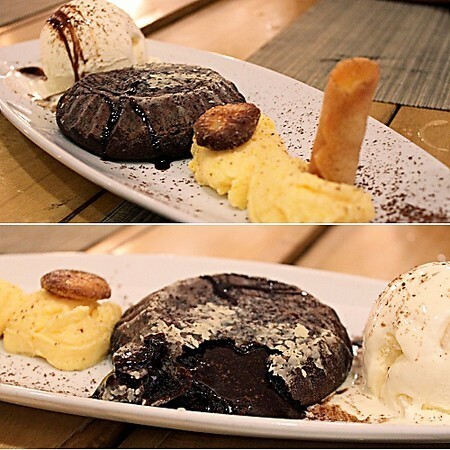 Heads up, chocoholics and dessertarians: don't leave the island without indulging on Mati Sin Chocolate Lava Cake with Vanilla Ice Cream (P290). It was orignally part of a Greek restaurant's menu before it was replaced by a Spanish one, but it was so popular that Zuzuni decided to still offer it on the menu. Making this dessert at the Spanish restaurant of the Mediterranean inspired hotel takes time, so order ahead or have some tapas and wine while you wait. But as fans and Bora frequent flyers attest, the wait is always worth it for the melt-in-your-mouth bliss of this warm gooey cake, served with cream, biscuit, and ice cream. 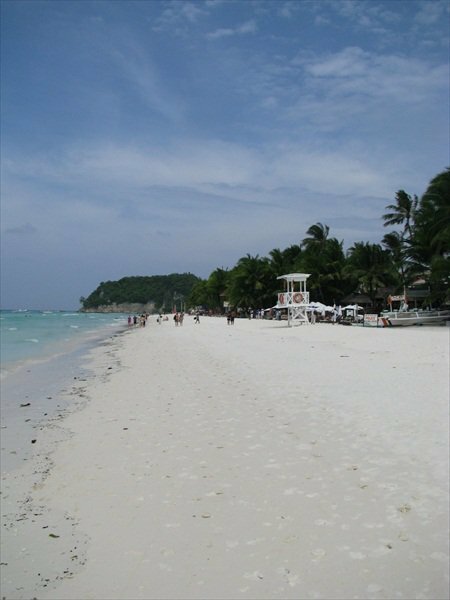 There are skewers of barbecued hotdogs, pork and innards near the beach, and small carts churning longga burgers and chori burgers in Boracay (most especially late at night). And then, there's the OG of them all -- Merly's. Late night foodies on this island swear by their take on the iconic Chori and Longga sandwiches, prepared as you order and slathered with an addicting blend of sweet and spicy sauce that comforts the most hungry hungover folk. 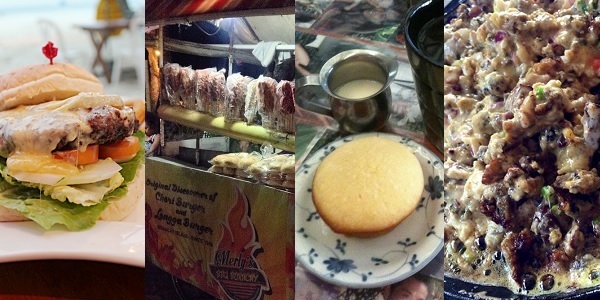 Sink your teeth into the sweet burger bun, and savor the hot and meaty palaman. This is more streetfood stall and a to-go food rather than a restaurant, but its legendary deliciousness merits a space in this list. And how can you go wrong with a simple comfort food for your P50 budget? 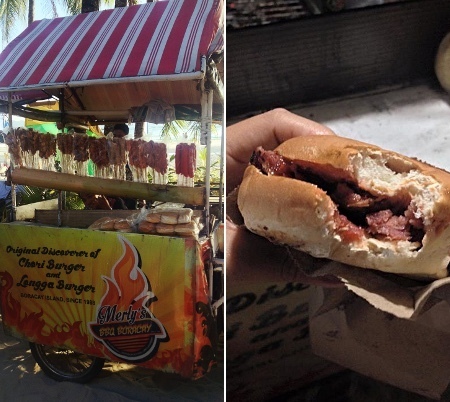 When hunger strikes and food allowance is running low while in Boracay, seek for this stall serving original Choriburger and Longgaburger since 1988. Colorful and quirky with its native decor and photo collages of celebrity patrons displayed on tables and walls, this coffee shop has a staff known for always greeting patrons "Good morning!" at any time of the day. Equally sunshiney as their morning greetings is their iconic Calamansi Muffin (P60). 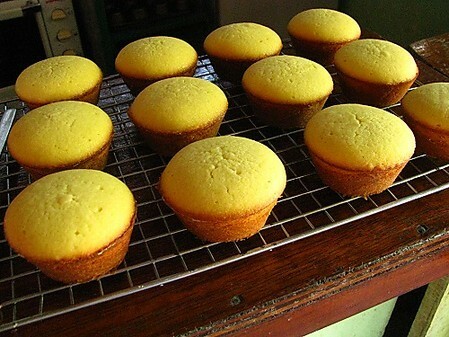 Enjoy a freshly baked one with a cup of Real Coffee (P120), and don't forger to order some as pasalubong in boxes of six. 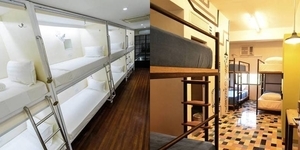 For heftier eats, recommended are their omelettes and pancakes. mananamexicancuisine.webs.com | FB: "Mañana Mexican Cuisine"
Mañana joins the likes of Merly's, Real Coffee, and Jonah's that have been around the island since the 90s. This old favorite has been popular with their hearty portioning of authentic Mexican fare like Burritos, Enchiladas, and Flautas. But if you plan to make a pitstop here in between heavy meals, the best thing to order for snacks are are their classic Totopos (P175) nachos and Nachos with Cheese and Beef (P275). Love breakfast food? 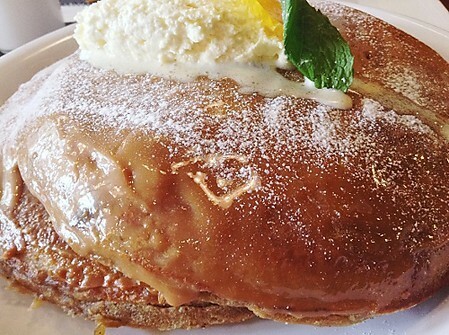 Then this should top your list -- a cafe at Station 3 serving the fluffiest and biggest pancakes in the island. Huge, thick, and fluffy, the Giant Pancakes (P210) order is two pancakes with whipped butter and muscovado syrup. Eight other pancakes available, like Espresso and Caramel Pancakes (P290), Red Velvet Pancakes, and Bacon and Parmesan Pancakes, all good for sharing. Also try: fresh off the oven dessert creations like pies, muffins, cookies, and cakes. 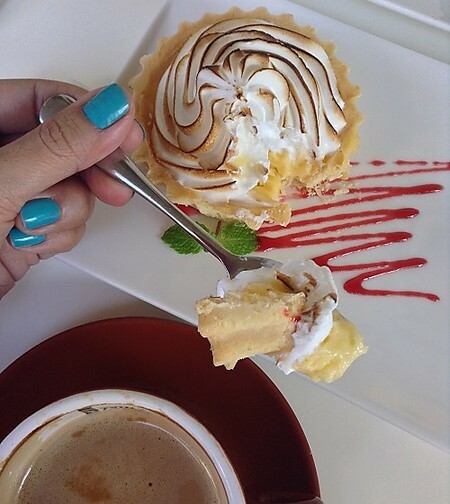 At Station 3's Sands Hotel is a bright and crisp restaurant by the beachfront, and its formula of good coffee, generous servings of comfort food, and pleasure-filled desserts equates to a happy belly. 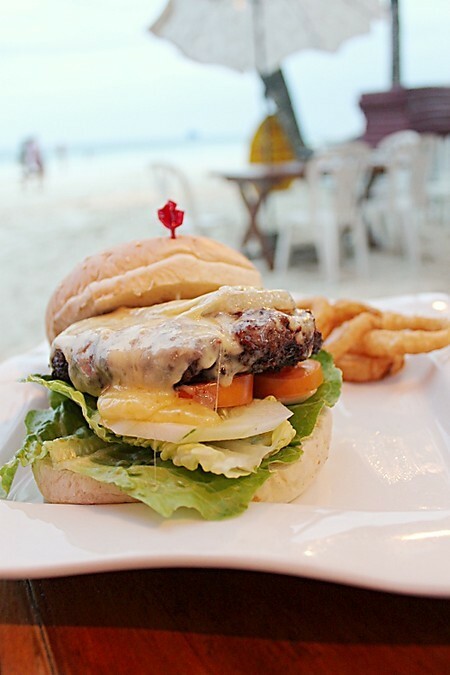 The two resorts that are a mouthful to pronounce are known to serve the 'best and biggest burger in Boracay,' as plastered on big signs right outside the establishments. Will it be a mindblowing burger? Probably not, but it surely is meaty, juicy, and big -- factors most welcome in a burger. Have their Great American Style Hamburger (P285), which can be ordered with Cheese (P340), with Bacon (P340), with French Fries (P340), or hey, come hungry and have an 'All of the above' burger (P450) to make it the biggest one in the island. Other specialties at Nigi Nigi include steaks, ribs, grilled seafood, and kebabs. It's known as oyster sisig and cheese pizza of Two Seasons, but the actual name of the resort's famous restaurant is barLO. The dish duo has been iconic in the "don't-leave-Bora-till-you-eat-this" levels, so don't fail as a foodie by skipping a visit to this spot. 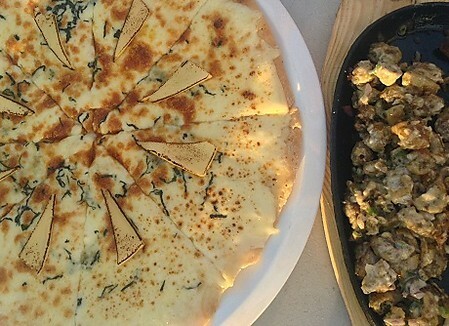 The Four Cheese Pizza (P550) (blue, cheddar, mozzarella, and parmesan) and Oyster Sisig (P350) (fresh oysters with onions, onion leaves, calamansi and mixed with raw egg once the sizzling plate arrives) is brought to the island via the culinary expertise of Chefs Gene and Gino Gonzalez. Consider yourself an adventurious foodie? BarLO serves crocodile meat served three ways - in coconut milk, barbecued, and thinly sliced as stir-fry. The owner-chef Julia Lervik is just as warm and welcoming as this summery cafe celebrating its tenth year in September. Along with business partner Sarah LaBrooy, she runs this cozy spot in D'mall named after her favorite ingredient--she loves her citrus in food, drinks, and desserts. For citrus lovers, get their Mint & Pineapple Crush (P120) popular with Chinese and Korean tourists, and their tarty Classic Lemon Meringue (P160), made fresh from their bakery upstairs that churns our other treats like cookies, cakes, cupcakes, mousses, cheescakes and pies. A perennial best-seller too is the classic Eggs benedict (P260). Refresh yourself with hearty comfort food, afternoon snacks, and lovely desserts in this fresh and vibrant D'mall cafe.